North and South Korea are holding further talks on the North's plan to attend the Winter Olympics Games. North Korea agreed last week to send a delegation to the Games in the South, easing months of tensions between the neighbours. But the details of the diplomatically complicated plan are still being ironed out. The latest talks are focusing on the artistic troupe the North would like to send to South Korea. The two sides are meeting in the shared border village of Panmunjom in the demilitarised zone (DMZ), also known as the truce village. The two sides were expected to discuss details including the number of performers, their travel route and their schedules, according to South Korea's Yonhap news agency. Four delegates from each side were scheduled to attend, with the North's delegation including Hyon Song-wol, the leader of the popular all-female pop group, the Moranbong Band. Monday's meeting is for working level talks - with lower ranking officials - rather than the breakthrough high level talks of last week. At last week's high level inter-Korean talks, the first in more than two years, Pyongyang said it wanted to send athletes, cheerleaders, an art troupe and a taekwondo team to the Winter Olympics taking place from 9-25 February in Pyeongchang. Next Saturday, both sides will also meet the International Olympics Committee in Switzerland, to discuss the details of North Korea's involvement. Only two North Korean athletes currently qualify for the Games - figure skaters Ryom Tae-ok and Kim Ju-sik. North Korea has participated in several Olympics Games before, but not in South Korea. It boycotted the 1988 Olympic Games in Seoul. 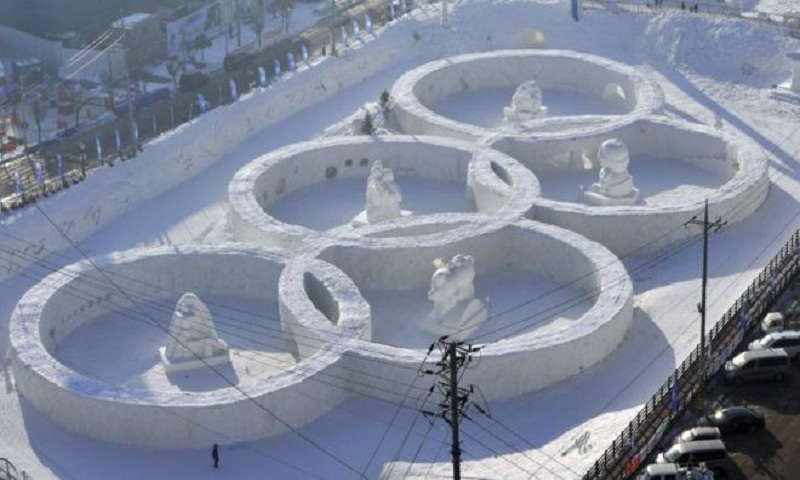 Seoul has proposed that athletes from both the North and South march jointly together in the opening ceremony. North Korea is said to be "positively" considering this, reports BBC. The South has also suggested a unified Korean team for the women's hockey tournament. Unification Minister Cho Myoung-gyon said the North was "expected to respond to the proposal soon".